My Dinner With . . .
At a time when news events are ever more complicated and perplexing, it’s vital to look to the work of novelists to illuminate the genuine truth about history, human relationships, and the world in which we live. Please join us this spring to support the Boston Book Festival at two evenings featuring dinner and vibrant conversation with two of the most acclaimed novelists writing today. Sign up today in support of the BBF. Lisa Halliday, whose most recent novel, Asymmetry, has been praised for its inventive structure and called a “subtle and sophisticated fable of literary ambition” by The Atlantic, will be joining us for a rare U.S. appearance on April 29. 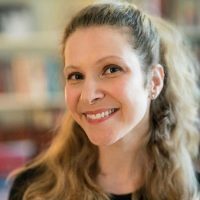 Halliday grew up in Medfield, Massachusetts and currently lives in Milan, Italy, where she works as an editor and translator. Previously she worked at the Wylie Agency. Her writing has appeared in The Paris Review and she is the recipient of a 2017 Whiting Award for Fiction. Asymmetry is her first novel. At this event, Halliday will be interviewed by Callie Crossley, host of Under the Radar with Callie Crossley on WGBH Radio, who will also lead a discussion of Halliday’s novel. 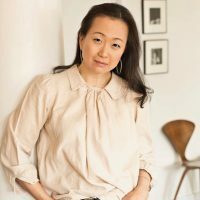 Min Jin Lee, whose sweeping family saga Pachinko was a finalist for the National Book Award and called “a rich tribute to a people that history seems intent on erasing” by The Guardian, will join us on June 4. Lee is a recipient of fellowships in Fiction from the Guggenheim Foundation (2018) and the Radcliffe Institute of Advanced Study at Harvard (2018-2019). Her novel Pachinko (2017) was a finalist for the National Book Award for Fiction, a runner-up for the Dayton Literary Peace Prize, winner of the Medici Book Club Prize, and a New York Times 10 Best Books of 2017. Lee’s debut novel Free Food for Millionaires (2007) was a Top 10 Books of the Year for The Times of London, NPR’s Fresh Air, USA Today, and a national bestseller. Her writings have appeared in The New Yorker, NPR’s Selected Shorts, One Story, The New York Review of Books, The New York Times Magazine, The New York Times Book Review, The Times Literary Supplement, The Guardian, Conde Nast Traveler, The Times of London, and Wall Street Journal. She will be a Writer-in-Residence at Amherst College from 2019-2022.